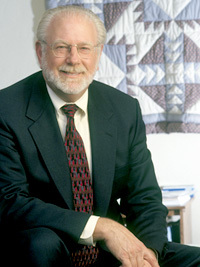 Mr. Mayfield was admitted to the practice of law in California in 1979. He began private practice in 1981 primarily in the area of criminal law. Mr. Mayfield has handled over 1000 cases. He is experienced in all areas of criminal law, including homicide and capital cases, as well as juvenile matters. In addition, Dan has represented parents in several juvenile dependency matters. Mr. Mayfield's practice also involves post-conviction relief. He represents clients seeking to "expunge" prior convictions and reduce felony convictions to misdemeanors. In addition, Dan works with immigrants and immigration attorneys in order to minimize the immigration consequences of criminal convictions. Mr. Mayfield represents military servicemembers and enlistees in connection with obtaining discharges from military service. He also handles court martial defense as private counsel. Mr. Mayfield is a frequent speaker at the Santa Clara University Law Clinic and a former member of the Criminal Law Executive Committee of the Santa Clara County Bar Association. He is a member of the California Attorneys for Criminal Justice and the California Public Defenders Association. He is also a member of the National Lawyers Guild.